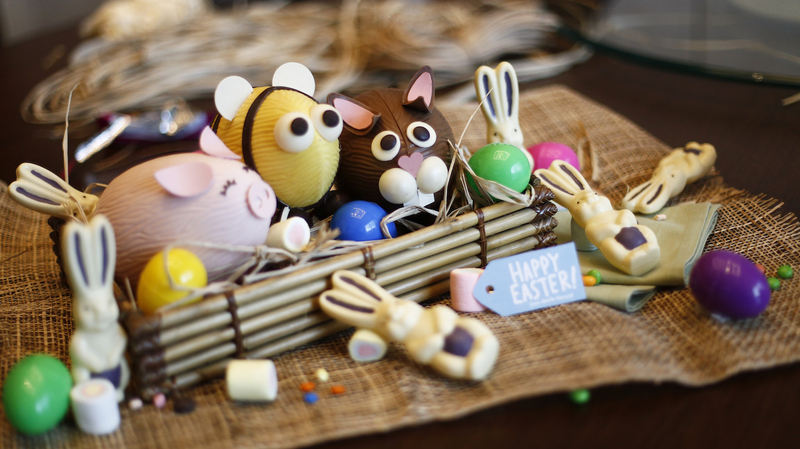 Marriott Manila brings to life every kid’s dream — sweet fantasies such as marshmallows, sprinkles, chocolates and all things sugary to celebrate Easter. Marriott made this amazing recipe to enjoy this season in many ways with your family and friends. As early as March 15, the Easter bunny is already hopping around Marriott Café Bakery with delightful goodies perfect to give away. From afar, the quirky animal chocolate sculptures will surely catch your attention right away. These are 200 grams of Belgian chocolate shaped in Porky Pig, Marriott Bunny, Honey Bee and Bunny Racer for Php 600 only, that goes straight to anyone’s Instagram. Something for sharing is the Box of 9-pc Cupcakes, in assorted flavors of carrot, red velvet and chocolate. Or just to brighten someone’s day, the 50-gram chocolate Easter Bunny is highly recommended. Of course, Marriott is well-known for their cake collection so they sprinkled their entremets and petit gateaux (mini cakes) with bunnies and eggs for this season’s celebrations. The 6-inch decadence is Php 900, while the adorable slice if Php 305 only. Moreover, abstaining from indulgences should not be boring, so they prepared yummy pastries your appetite would enjoy such as the Hot Cross Bun for Php 120 and Tuna Overload (tuna-stuffed sweet bread) for Php 170 only. Marriott Café is located at the GF of Marriott Manila. Sunday Brunch is from 11:30am to 3pm. For inquiries, call (02) 9889999 or visit manilamarriott.com. To keep up on their latest offerings, follow @marriottmanila at Facebook, Twitter and Snapchat and, @manilamarirott on Instagram.